Please note: Starting with Academic Year 2018-19, and until further notice, the Optimal Learning Program will not be accepting new applications. This may affect the overall admissibility of students in ACS Athens. Please contact the Admissions Office for more information. The Optimal Learning Program (OLP) offers students with learning differences an opportunity to fully participate, contribute and excel in the classroom. Students who receive Optimal Learning (OL) services are provided with the necessary accommodations to be empowered and reach their fullest academic potential. OLP realizes the importance of addressing each student's needs in the classroom, and supports faculty with Differentiated Instruction strategies and content delivery. The process begins with a student's referral by a classroom teacher or parent. The Child Study Team (CST), consisting of the school’s Principal, the K-12 Counseling-Psychologist, the Counselor(s), the OLP Specialist and the OLP Coordinator, determines which programs offered by the school will most effectively meet the student’s needs and provide opportunities for him/her to reach his/her potential. The OLP Specialist works closely with teachers to differentiate the student’s curriculum and adjust his/her learning experience to suit his/her individual needs. A full battery of psycho-educational assessments, which are administered by in-house, or non ACS Athens based psychologists, must be completed prior to enrollment in OL. Based on their findings and subsequent report, standards are set according to the individual needs of the referred student. Effective strategies are developed by the OLP Specialist and are then shared with all teachers working with each particular student. Small group instruction and cooperative learning activities are incorporated within the student’s curriculum in order to complement various learning abilities. OLP Support Plan for Instruction, Assessment and Accessibility (SPIAA). For new students: enrollment in OLP Classroom, OLP Consultation or OLP SPIAA is determined by the OLP Coordinator and OLP Specialist and recommended through the Admissions letter. For returning students: enrollment in OLP Classroom, OLP Consultation or OLP SPIAA is determined by CST and recommended to parents. The Optimal Learning Program Classroom is a ‘pull out’ support service for students who require the attainment of academic skills so as to better perform in the educational setting. Small group classroom instruction and cooperative learning activities are incorporated within the student’s curriculum to complement various learning abilities. OLP Classroom takes place on the OLP floor in the designated Elementary, Middle School or Academy OLP classes. This class takes place during a specific block of time and meets regularly (3 times a week). In Academy it takes the place of a Block (course). 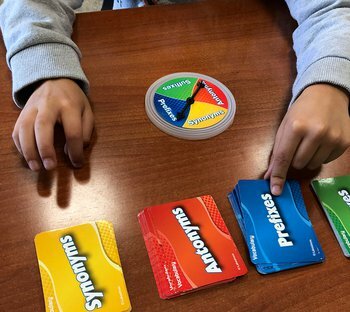 During OLP class, students work on areas of identified weakness by utilizing their strengths and learning strategies, which are modeled, practiced and eventually generalized throughout all mainstream classroom settings. Students receive an Individual Learning Plan (ILP), which is based on their psycho-educational report, and are provided accommodations that cater to their learning needs. The OLP Specialist is in close collaboration with teachers and parents to ensure that progress in OLP class is transferred to the regular classroom. This process involves identifying limitations and difficulties the student may experience in being successful in the regular classroom. Formal communication with parents takes place at the end of the school year, when the ILP is reviewed, progress is discussed and new goals for the following school year are set. The parents of the newly enrolled students meet with the OLP team in the beginning of the school year. The OLP Specialists also participate in the Parent-Teacher Conferences that take place across all schools(Elementary, Middle and Academy). In addition, communication between the professionals of the OLP and parents is continuous and ongoing throughout the year via phone calls or emails as often as necessary. 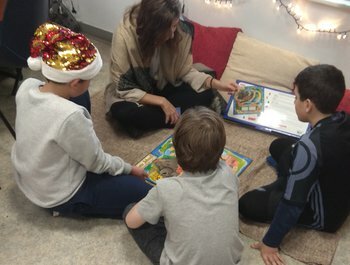 The Optimal Learning Program Consultation is a support service for students who need support as well as testing accommodations to help them succeed in the regular class; however, these students have achieved higher levels of independence and do not require OLP Classroom time. Consultation lasts between 15 and 20 minutes and takes place once a week. The Optimal Learning Program specialist meets with the student on a brief pull-out basis during a scheduled and convenient time for both.The OLP Specialist is responsible for contacting the student in the beginning of the school year and arranging the regular weekly meeting. OLP Consultation students receive an ILP, as described above, and are entitled to accommodations, which are specific to each student's needs and stem from the psycho-educational report. Accommodations are stated within the ILP as guidelines for teachers to follow so that individual student needs are met. The OLP Specialist communicates regularly with members of the faculty to monitor each student’s progress. Formal communication with parents takes place at the end of the school year, when the ILP is reviewed, progress is discussed and new goals for the following school year are set. The parents of the newly enrolled students meet with the OLP team in the beginning of the school year. The OLP Specialists also participate in the Parent-Teacher Conferences that take place across all schools (Elementary, Middle and Academy). In addition, communication between the professionals of the Optimal Learning Program and parents is continuous and ongoing throughout the year via phone calls or emails as often as necessary. The Optimal Learning Program Support Plan for Instruction, Assessment and Accessibility (SPIAA) is a support service for students who need accommodations to help them succeed in the classroom. This service does not involve classroom instruction, person-to-person consultation or monitoring. It is a minimal support service for students in the OLP who have progressed as independent learners. The OLP Specialist meets with the student once in the beginning of the academic year to review his/her support plan. The student, parent or faculty member is then responsible for contacting the OLP Specialist if and when assistance is needed. It is the responsibility of the student, parent or faculty member to contact the OLP Specialist. Students in OLP SPIAA are entitled to accommodations, which are specific to each student’s needs and are stated in the psycho-educational assessment provided. Accommodations are specific guidelines for teachers to follow so that individual student needs are met. These guidelines are presented in the student’s SPIAA. Faculty members are responsible for implementing/providing these accommodations. For example, if a student’s accommodation requires a quiet space and/or additional time for test-taking, the accommodation will be arranged by the OLP Specialist for the student to either take the test in the regular classroom or in the designated OLP classrooms. The OLP Specialist may communicate with members of the faculty which helps regulate the progress of a SPIAA student. The Individual Learning Plan (ILP) is a formal, comprehensive document that outlines each student’s profile. It indicates the student’s learning difference, preferred learning style, strengths and areas of difficulty. It also states the accommodations students are eligible for and lists the goals the OLP Specialist has set, based on her review of the psycho-educational assessment and the feedback provided by faculty members. The ILP/SPIAA is reviewed and renewed at the end of the school year during a scheduled parent meeting. New goals are set for the next school year. These meetings take place every school year during May and June. For new students, the ILP meetings take place by the end of September or in the first few weeks upon a student’s enrollment to OLP. Shadow teaching is a professional service offered to the school and family to better manage the needs of students who have more demanding learning and behavioral needs. ACS Athens facilitates the process of helping parents find the right Shadow Teacher who is knowledgeable in the specific needs of the student and provides support in the inclusive classroom environment. Shadow Teaching is a progressive form of assistance that acts as a resource for the school and the parent. Shadow Teachers are employed by the families and assist in the communication and collaboration between all parties involved. The ultimate goal of the Shadow Teacher is to guide the student towards independence in school. The Shadow Teacher helps provide the students with continuity in their classes, instills responsibility, fosters independence and encourages learning. The Institute for Innovation and Creativity (IIC): Learning Enhancement Programs (LEP), and the OLP Coordinator assist the parents in the selection process by recommending Shadow Teachers. 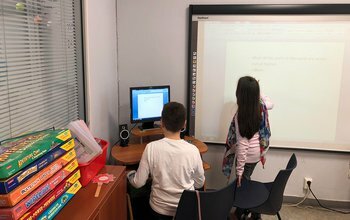 Once these Shadow Teachers have been screened and interviewed by ACS Athens, the parents will then interview the recommended Shadow Teachers and select the one they wish to work with their child. Education, previous classroom experience and personality traits of the Shadow Teacher are criteria which are considered. Shadow teachers are expected to continue their learning by attending workshops and seminars that focus on students with learning differences. Shadow teachers work very closely with the Optimal Learning Specialists, as well as, with the Counselors, educators and administrators of ACS Athens. Students requiring the level of support provided by a Shadow Teacher, must be enrolled in either OLP Class, or OLP Consultation so that close monitoring of all facets of the child’s needs are ensured. The role of a Shadow Teacher is to support the student in his/her school academics by facilitating the learning process, helping the student build self-confidence as well as promoting positive interaction in the classroom. Prompting the student to engage meaningfully in important concepts, and developing academic and social skills is a key area in the Shadow Teacher’s aim. Additionally, the Shadow Teacher provides additional support throughout the school day, academically and emotionally, to students enrolled in the OLP. The Shadow Teacher also helps the student be prepared and organized for class, helps the student with the approaches to learning and reminds him/her to be a responsible and committed student. The school also benefits by the Shadow Teacher, because there is a collaborative effort to meet the individual learning and behavioral needs of the particular student. The parents benefit because they have daily communication with a professional who observes their child’s educational and social experience in school and who can offer strategies on how to maintain consistency between home and school. 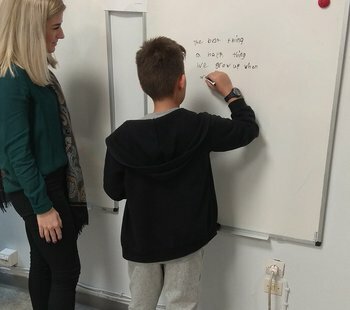 Every child is unique; therefore, the approach and teaching methods and techniques used by each Shadow Teacher with each specific student will differ. Shadow Teachers are not recommended, or provided, for students in the Academy. The Mentor Program is designed to enable high-ability students to explore their intellectual and achievement based strengths by engaging in self-designed projects and explorations under the supervision of an adult Mentor who shares their talents and interests. The expansion of the OLP to incorporate the high end of the learning spectrum will enable students to achieve the utmost of their potential, under the guidance of faculty members who have agreed to extend these students’ interests. This program identifies students who have exceptional strengths and creates a learning environment in which students can fully develop their talents, knowledge and interests. 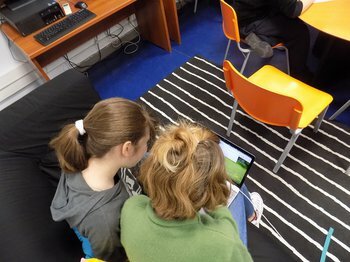 The Mentors guide and coach students into creating original and quality work. The students develop ideas or projects that are creative and innovative based on their interests. The Mentor and student are responsible for co-designing a "curriculum" that challenges the student and promotes his/her learning. A minimum of 20 minutes per week is recommended for Mentors and students to spend working towards their project. A Mentor Program Exhibition of Learning is scheduled each May, so that students can showcase their work to the ACS Athens community. An ability to think creatively and productively. These students think “out of the box” and are often able to see connections in things that were seemingly unrelated. An exceptional ability in a certain academic area, for example, logical-mathematical or linguistics. Excellence in music, visual arts, and/or drama. Remarkable leadership ability and a talent for directing groups. They are good at communicating and understand others’ feelings: they possess interpersonal intelligence. Excellence in psychomotor ability, in other words, excels in a particular sport, dance, etc. Excellence in intrapersonal skills. These students may be shy, but they are very aware of their own feelings and are self-motivated. The application form to the Mentor Program consists of three short answer questions and a letter. The questions are very specific and the letter is the means through which applicants can express their uniqueness as to why they should be a part of the Mentor Program (see attached form). have above average intellectual functioning, in other words, a high IQ of 130 and above. The aim of the Intelligent Quotient (IQ) test is to measure the intelligence of a child, which is only one indication of a child’s potential. It tests and analyses the performance of the student on a series of analytical, mathematical, and spatial activities, and the success with those activities will be represented as an IQ score. score in the 95th percentile or above on a standardized test. Standardized tests (such as MAP) evaluate how students perform in relation to other students and are one of the tools that can be used to determine entrance for the Mentor Program. These tests help in the identification process of students that are performing above and beyond their grade level. These students can be given an extra challenge, be placed into the Mentor Program and be granted opportunities to pursue extra interests. Faculty have submitted recommendation forms to nominate students who show exemplary ability and strengths in the above categories. These recommendations can provide detailed information about a student. They outline the characteristics we are looking for in applicants. The Mentor Program this year is designed for students in grades 1-11. ACS Athens cooperates closely with outside consultants to provide the absolute best support for our students. Both the IIC:LEP /SNFLC and OLP departments work closely with Clinical Psychologists, Occupational Therapists, Speech Therapists and Behavioral Vision Care Optometrists who have been carefully selected for their expertise in their respective fields. These professionals are then recommended to families that require such services. Psycho-educational assessments are regularly conducted for the purposes of screening for, and determining, learning challenges, placement into special education, additional need for services for students with educational or emotional difficulties, behavioral problems within the classroom, entrance into gifted or high performance programs, and interpersonal-communication difficulties. A complete cognitive and educational assessment usually includes: interviews with student parent(s) / guardian(s) - teacher (s); a detailed report on the student’s developmental history; observation of student’s behavior at home/school with parent(s)-sibling(s)–peers; administering cognitive-ability functioning tests and aptitude/ achievement tests based on grade level performance; neuropsychological functioning tests; administering personality, self esteem, emotional functioning tests and student’s self-report questionnaires. Students are compared with their same culture peers as far as grade and age level performance. In addition, assessments are used for the purposes of placement decisions, intervention planning, and evaluating progress and outcomes throughout the school year. The administration of a complete cognitive and educational assessment is conducted by an expert school psychologist and requires 4-6 hours of direct face to face testing. In addition, another 6-7 hours are required to critically evaluate, analyze, integrate, and interpret the findings, compose a comprehensive report with a diagnosis and recommendations, and give feedback to the parents and student. Potential coordination of school interventions is also offered. ACS Athens provides families with recommendations of on-site and external assessment centers. The Occupational Therapy (OT) sessions range from 30-45 minutes, depending on the needs of the students and the demands of the individual academic program. The OT Specialist works with the students on many areas. These areas include gross motor coordination, fine motor skills, organization and attention skills, visual perceptual skills, praxis, self-confidence and sensory integration, depending on the identified deficit areas. The OT sessions are held both outdoors and indoors. A playground area provides for a wonderful arena to address many of these issues, but a room for tabletop activities and the fine motor/cognitive/perceptual training is also required. Some of the support provided by the OT Specialist can be done in the classroom when there is a specific need that must be addressed, otherwise OT support is provided on a pull-out basis. The OT Therapist is an external Consultant, who provides these services to students at ACS Athens during the school day. The ability of a child to communicate effectively is critical as it impacts all areas of learning. By the age of six, it is assumed that a child has fully developed receptive and expressive language and clear speech in their native language. Hence, it is no accident that all around the world, this is the age that formal schooling commences and a child acquires academic knowledge by using his/her communication as a tool. The role of the SLT is to assess and diagnose difficulties in the areas of language, articulation, voice and fluency. When problems exist that are not appropriate to the child’s age, intervention commences. This includes both direct speech therapy with the child and collaboration with parents and teachers so that a home program can be followed. Early identification and intervention ensures that difficulties in language and speech will not directly affect a child’s performance. The SLT Therapist is an external Consultant, who provides these services to students at ACS Athens during the school day. ACS Athens was the first school in Greece that incorporated the Vision Care Philosophy into its services. The understanding of the relationship between vision and learning is very common in many countries including the US, Europe and Australia. There are many different vision problems that interfere with the child’s ability to write, read, attend and even play. Having vision care as part of the child’s assessment methodology and remediation plan upgrades the services provided. ACS Athens provides recommendations for off-site Vision Therapy.